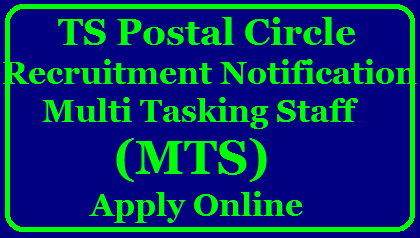 Telangana Postal Circle MTS 33 Post Recruitment 2017 – Welcome to everybody, we come back with new job recruitment for those who interested join in Telangana Postal Circle. Here we have Telangana Postal Circle has issued a notification for the recruitment of Multi Tasking Staff Vacancy at 33 posts. Eligible candidates can apply for this recruitment. Here daily we update latest jobs related all facility & states. So You can easily find best jobs in your area. So For more details, Check out below for Age Limit, Educational Qualification, Selection Process, Application Fee and How to Apply etc.. Selection Process-Candidates will be selected based on Aptitude Test. Other selection process details go to official Notification. How to Apply – Eligible candidates may apply through the official website telanganapostalcircle.in Before on 8th January 2018. Last Date for Submission of Application:- 8th January 2018.